This post shares my thoughts on the children’s wing at the Louisiana Museum of Modern Art in Denmark. Last month I visited another, the awesome Children’s Wing at the Louisiana Museum of Modern Art in Humlebæk, Denmark. I had heard numerous colleagues talk about the space and was excited to finally have the opportunity to go myself. 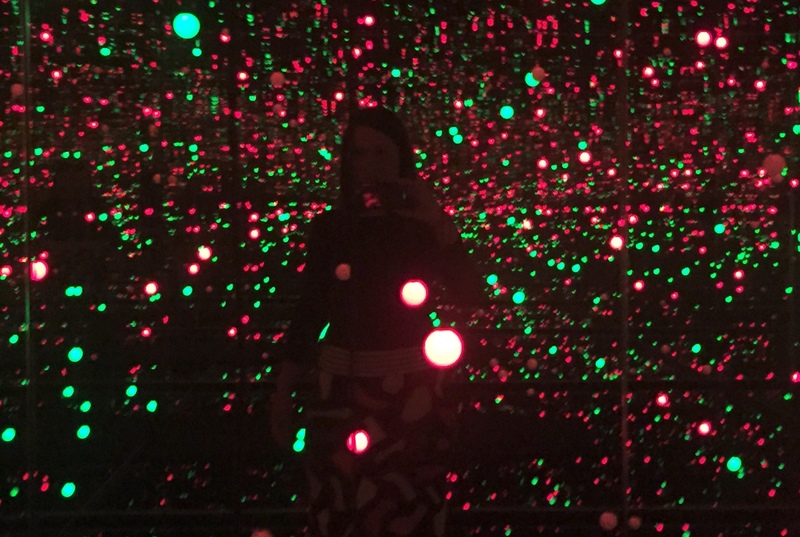 Kusama’s Gleaming Light of the Soul (2008). Louisiana collection. The Children’s Wing opened in 1994 and is made up of a three-story space purpose-built space especially for children. Whilst I was there I met with one of the artist-educators working on the programme who discussed the team’s approach. The aim of the activities is to encourage children to explore the notion that ‘small-scale experimentation with materials and ideas are the foundations of artworks displayed throughout the gallery.’ Underscoring this premise is an understanding that through encouraging children’s exploration of materials and artistic processes, they will gain a sense of curiosity around the art featured in the gallery spaces. 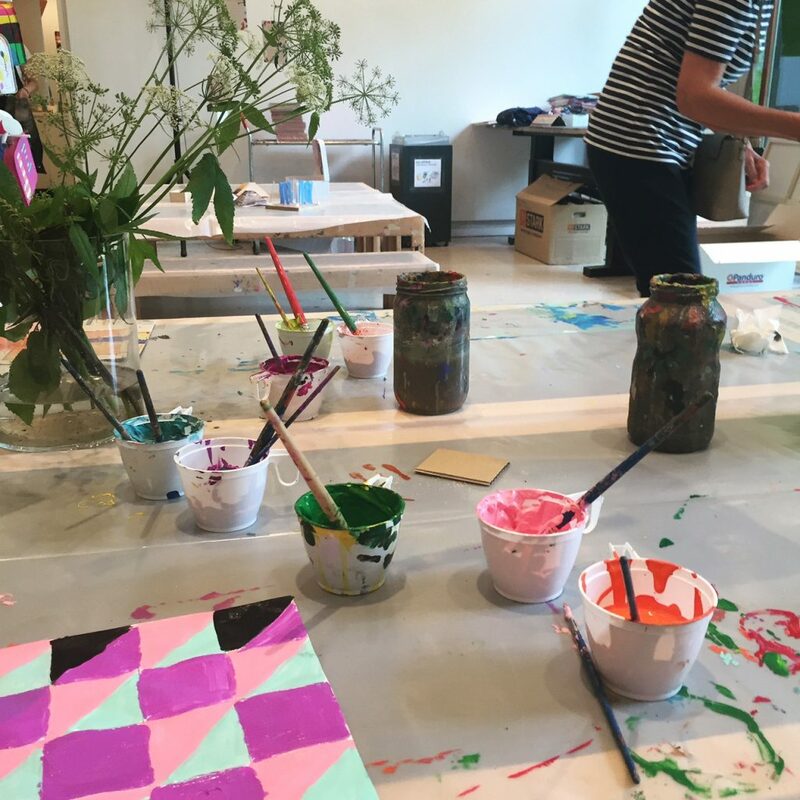 The Wing consists of five separated spaces each featuring a different craft or creative play activity all of which are supervised by artist educators. Outside the Wing, a Lake Garden extends into the surrounding natural landscape of the Louisiana property. The busiest area appeared to be the permanent painting and clay studio (pictured above), which fills the entire bottom floor of the Wing. The number of families visiting the space impressed me, especially considering it was a Tuesday morning. Everyone seemed to be having a fun time with many young children making and playing alongside their parents and grandparents. In addition to the Children’s Wing, I was extremely impressed with Louisiana. The setting and layout of the museum reminded me a lot of the amazing MONA in Hobart, Australia. When visiting I also highly recommend climbing and sitting on top of the reconstruction of Poul Gernes’s ‘Pyramid’ (pictured above). Previous Post Thinking with your hands: A visit to the Tinkering Studio in San Francisco, USA.